Is GPS bad for your brain? For many people GPS is a beneficial form of technology. But letting yourself be guided vocally (or even just visually) by a GPS could actually be harmful to your brain in the long run. A study published in the review Nature Communication tells us why following the instructions given by a virtual guidance device could impair our brain’s orientation functions, e.g. our internal GPS. It began in 2014 when a team of researchers (Edvard and May-Britt Moser, and John O’Keefe) shed light on the existence of a tracking and navigation system in the human brain. Their research showed that cells in the hippocampus helped animals to record spatial information in order to orient themselves. By combining this with the prefrontal cortex (which is involved in planning and making decisions), they were able to establish the "brain’s GPS," a discovery that earned the three scientists a Nobel Prize in medicine. 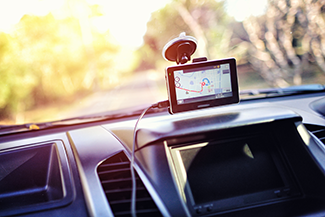 The aim of the current research carried out by University College London was to study the activity of the “brain’s GPS” when a person is receiving help from an actual GPS to navigate. The scientists recruited 24 participants (11 women; average age = 26.25 years) who then had to learn to get around in London’s Soho neighborhood. The neighborhood was chosen for its high density of roads (26) and the number of distinct places, such as pubs and shops. According to the experimental design, the subjects had to find a particular destination either on their own or with the help of a GPS. How exactly was the experiment carried out? The participants viewed a film that was paused intermittently; they had to plan their itinerary to arrive at a particular destination by indicating whether to turn left or right at each intersection. Ten trials and three itineraries were chosen and filmed in Soho for use during the experiment. Throughout the protocol, brain activity was measured using a functional MRI. Source: Amir-Homayoun Javadi, Beatrix Emo, Lorelei R. Howard, Fiona E. Zisch, Yichao Yu, Rebecca Knight, Joao Pinelo Silva & Hugo J. Spiers, “Hippocampal and prefrontal processing of network topology to simulate the future,” in Nature Communication 8, 21 March 2017.